The D2 twin function brake kit is the ultimate bolt on, split circuit footbrake and handbrake solution. It's a single 4 pot caliper, that uses 2 pots for the footbrake, 2 for the handbrake, both on a different system. No more messing about with 2 calipers/mounting brackets etc, just fit this single caliper and go! Please note this setup is for track use only due to a lack of parking brake when used with a hydraulic handbrake setup. 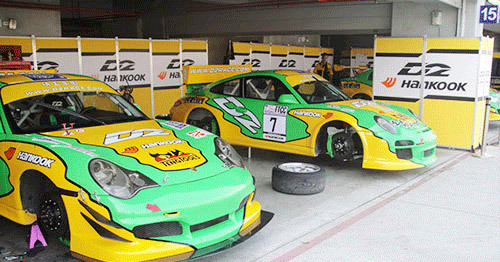 D2 Racing big brake kits are a high quality and affordable brake upgrade used on performance road and race cars all over the world. All kits are assembled to order, so can take a bit longer to be dispatched than with our normal service. Once the order has been placed, it is non-refundable. When choosing your size it is your responsibility to ensure the brake kit will fit behind your wheels. 330mm require 17" wheels, 356mm require 18". None of these kits are compatible with drum style OEM handbrakes.